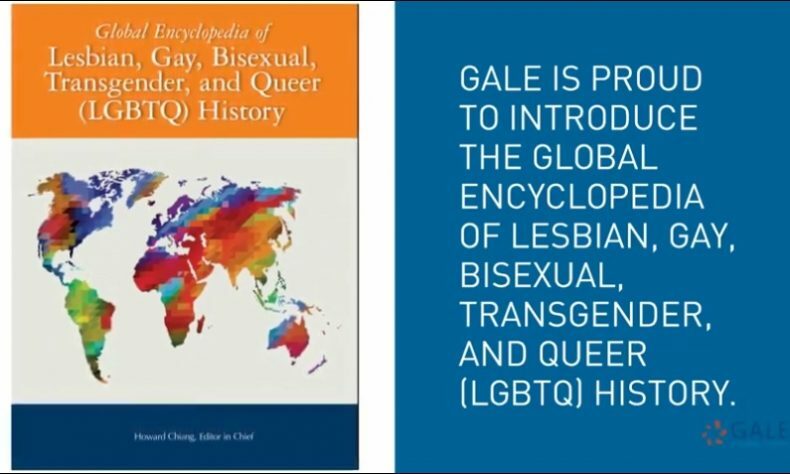 FARMINGTON HILLS – Gale, the Farmington Hills-based information products and services company, announced the release of the Global Encyclopedia of Lesbian, Gay, Bisexual, Transgender, and Queer (LGBTQ) History. The company said the new encyclopedia is the first authoritative academic resource of its kind with an international focus on the history of the LGBTQ community. The Global Encyclopedia of Lesbian, Gay, Bisexual, Transgender, and Queer (LGBTQ) History is a three-volume set that delivers a worldwide view of the LGBTQ experience, covering prominent figures and events globally in areas such as activism, art, literature, film, health and sociology across nearly 70 countries. It’s written by academics who not only have subject matter expertise, but also regional expertise in the field of LGBTQ theory. A global view of the history of LGBTQ, both the advancements and challenges. Up-to-date, hard-to-find content on LGBTQ history, all in one reference title. Extensive coverage of nearly 70 countries, with additional countries represented throughout the encyclopedia. More than 1,800 pages that complement university courses in a variety of disciplines, including history, literature, psychology, sociology, American studies and others. 383 entries written by academics from around the world, with nearly half of entries written by international contributors, representing 35 different countries. 316 full-color photos and illustrations, including a thematic outline and comprehensive index. Rich cross-referencing to help students and researchers make connections between entries. Gale will showcase the Global Encyclopedia of LGBTQ History at the ALA Midwinter Conference in Seattle, Jan. 25-28 at booth 1817. To read a blog post about the new encyclopedia by Howard Chiang, its editor-in-chief, visit this link. Gale provides libraries with original and curated content, as well as research tools and technology that are crucial in connecting libraries to learning, and learners to libraries. Since 2007, it has been a division of Cengage, an educational content, technology, and services company for the higher education, K-12, professional, and library markets based in Boston, Mass. More at www.gale.com.